Once you decide to tie-up with a professional company providing managed services you can rest assured that they will manage your IT equipment and services without any hitches. A good IT management company will help you keep your software updated and provide the necessary data backup and related solutions whenever required, or at very short notice. What’s more is your data is 100% safe and you get easy solutions for the day-to-day IT problems you may encounter. Here are some ways that managed services can help your business grow exponentially. 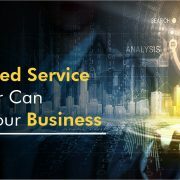 The primary benefit that accrues when you outsource managed services is that, you save on the enormous revenue expenditure that is liable to incur on IT services. 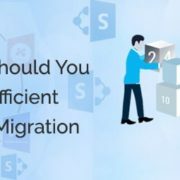 What’s more is you don’t have to hire additional staff for any IT related work that crops up suddenly as you can rely on the IT Management company to help you out in such situations, saving substantial money in the process. With businesses running on tight budgets, the best solution is to outsource managed services and deploy the money saved in other profitable areas. A professionally run IT Management company has vast experience in troubleshooting and can help in fixing problems. 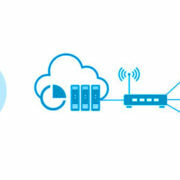 In fact most network management companies can anticipate problems and help prevent them, thus saving precious time through their proactive approach to recurring IT problems. They are adept at handling software and related security updates, effectively reducing the IT downtime, allowing you to focus on your core competencies. 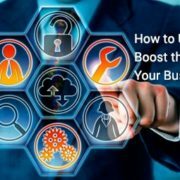 Another major benefit in entrusting your work to an IT Management company is that you have access to a dedicated IT team that knows its business. What actually happens with most small and medium business is that they need to improvise with the staff on board, often juggling the roles of employees which leaves them taxed and drained at the end of the day. 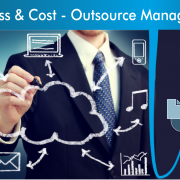 Once you decide to outsource managed services to a professional IT Management company you have access to a trained, expert team around the clock, thus allowing your regular staff to focus on more important tasks. A professional IT Management company has the wherewithal to build and maintain a robust and secure infrastructure that ensures assured protection at all times. These companies monitor the system around the clock and furnish detailed logs on demand. You can get information on who logged in when, and where your system was accessed from, and all this can happen from a remote location. With hackers prowling the Web, it is important to have an effective security system in place. 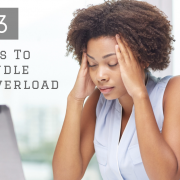 You never know when you need extra capacity, like during the end of every quarter, or during peak holiday season or any such time when there is a surge in demand. When you entrust your network issues to an IT Management company you do not have to worry about enhancing your IT capacity as it will be taken care of by your partners to whom you outsource managed services on a long term basis. Your partners will be able to plan ahead and take care of the excess capacity requirements you may have from time to time. 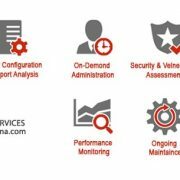 Infognana is a professional managed services provider who can foresee your IT and network needs and plan accordingly. Except for some highly confidential and sensitive applications that you may want to keep strictly private, all other IT related tasks can be outsourced to us. 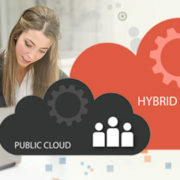 When you collaborate with an experienced managed services provider your business is bound to flourish and grow.